TrichoKare @ Orchard Gateway : It’s Scalp-y Time! How’s your scalp? Any idea of it is oily, dry or normal? Don’t wait till your hair starts to thin out and you start freaking out by the huge amount of hair loss. That’s because our scalp, like our skin, is sensitive to the changes in the environment, diet and stress levels. I only started taking care of my scalp this year as I noticed that the crown of my head is thinning out. Thankfully, it’s not due to a female hair loss pattern by due to my oily scalp which is not cleansed properly. And if you experienced hair problem like I do – slight thinning of hair, scalp pores blockage, dry and greasy scalp at the same time, then something must be done and changes must be made. I’ve made to visit to TrichoKare recently for a scalp treatment and consultation to find out more on how to rectify my scalp problem. It provides customized European Herbal Hair Remedies validated by certified Trichologists (hair and scalp specialists) with products formulated by a professional herbalist. I was well aware of my scalp condition and have been curbing the problem by switching to organic sulfate-free shampoos which is more gentle to my scalp. But it didn’t quite control my hair fall problem which worsens during periods of stress. In addition, I haven’t been using any hair care or scalp products at home to address my scalp problems. After visiting TrichoKare, I realised how important it is to be using the right hair products at home to maintain a healthy scalp. Prior to the treatment, I had a consultation with their hair specialist who did a scalp analysis on me and to find out what are my hair and scalp concerns. At this point in time, I was just worried that my hair would start to thin out really fast and fear that my hair growth is rather slow. So my hair therapist affirmed me that there is a solution to it but it would take some time. Well, at least, the condition is reversible! Now, what is really interesting is that I realised that each of my hair pore has could sprout out a maximum of 4 hair strands. This, however, varies from one individual to another. However, most of my hair pores only have one or two strands growing. That is to say that either my pores are blocked or my hair growth is way to slow! After the analysis, the specialist briefly described to me what was my customized hair treatment like. At TrichoKare, each treatment is customized to individual hair and scalp condition. I like that the treatment was fast and effective. It lasted about an hour where they first apply mask to my hair for purifying and later tonic to nourish my hair roots. The hair mask was remarkable as it made my hair extra smooth. Lastly, they also used an infra-red machine which emits infra-red light on my scalp to boost blood circulation and stimulate hair growth. TrichoKare has formulated their own set of products for the the scalp. 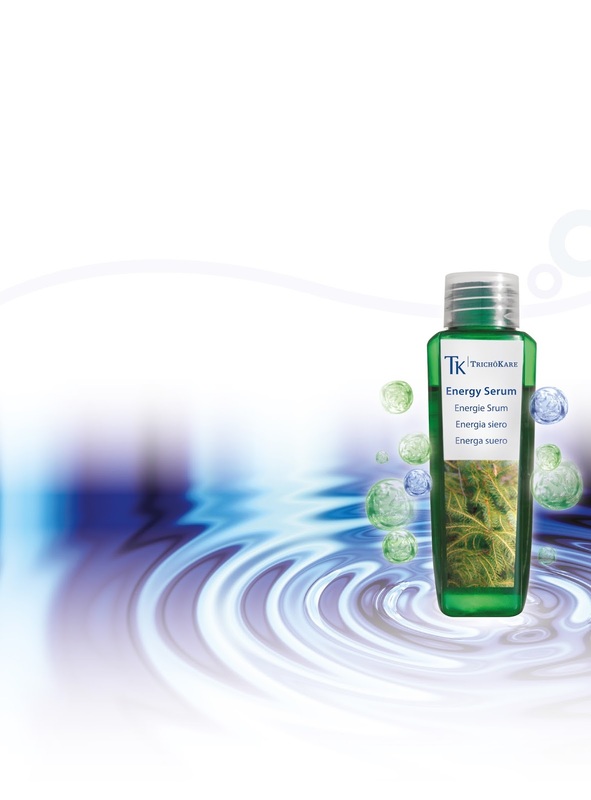 One of the product they used on my scalp is this essential energy serum which is made up of premium lavender extracts and essences of spiral algae to replenish nutrients to my scalp and hair follicles. One of the reasons to my slow hair rate is the lack of nutrients so that serum is like ‘vitamins’ for my scalp. Overall, I really like the fact that they used premium European botanical extracts to help rejuvenate and balance the scalp’s condition. In fact, our internal body system are also more receptive to natural ingredients and our bodies absorb such ingredients at a faster rate. Herbs also has less toxic residue and is a holistic approach to treat the internal imbalances in our body. It is suitable for sensitive scalp too. It leaves my hair smelling great too! 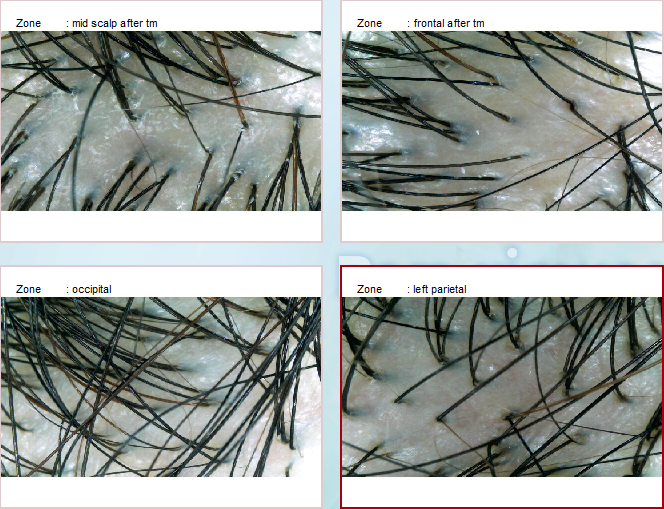 Below are my before and after treatment shots of my scalp. From the scan, you can see that the pores are all closed up, leaving little room for hair growth. As a result, my new hair strands often looks very thin and fine. The pores have definitely opened up and enlarged after the treatment and that’s great news because there’s now more space and room for new hair growth! Cheers to thicker hair with more volume! I’ve really learn alot about my scalp from the hair specialist who show great professionalism in servicing his clients. Here’s a special promo for Hair Fall Preventive Treat @ $59 for you readers!